Kwality Photonics is India’s largest producer of Light Emitting Diodes (LEDs), LED displays and Opto Electronic products. Kwality nows brings the latest in Solid State Lighting for the Indian automotive industry with its latest innovation - uniLED™ representing a range of India's premier LED automotive fitments. Kwality attains the highest standards within the industry and in its products due to a vibrant and active ISO 9001-2008 Quality Management System and Kaizen Quality Movement being implemented in its production processes. TPM and 6σ have inspired several processes that are in practice in Kwality’s state of the art manufacturing facility. The LED displays manufactured at CDOT approved plant of Kwality Photonics consist of Single Digits, Dual Digit, Multi Digits, Alphanumeric, Dot-Matrix, Light bars, Bar graphs and Arrays to meet demand from high-end users for High Intensity GaN White, Blue, Green, AlGaAs- Ultra bright Red and AlIn-GaP- Super bright Yellow. The company has also successfully met custom requirement of industrial users by developing special Light bars and Pilot Lamps as Filament Lamp retrofits that resulted in reduced costs, improved power savings and aesthetics enhancements for its customers. Our customer support team strives to go deep into the stated requirements as well as the silent but implicit requirements of the applications and suggests the most appropriate LED source for them. It’s not uncommon for our engineering team to spontaneously help customers to arrive at the optimal solutions that meet the twin constraints of Current and Thermal limitations. Our 48 hours delivery turnaround is more of a norm than an exception, with support from our efficient SAP ERP systems. All the marketing staff is equipped with best communication equipments to service our customer base from wherever they are. We use only courier mode of shipments where freight rates are contracted to benefit the customer most. 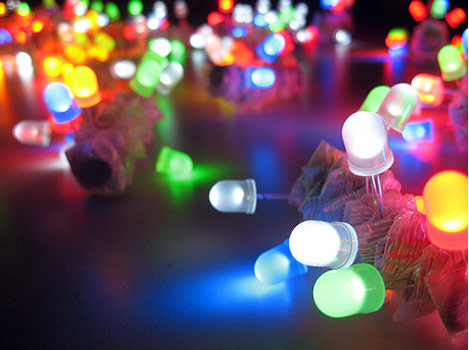 We maintain huge inventory to support quick delivery from a mix of over 500 LED products in our manufacturing range.